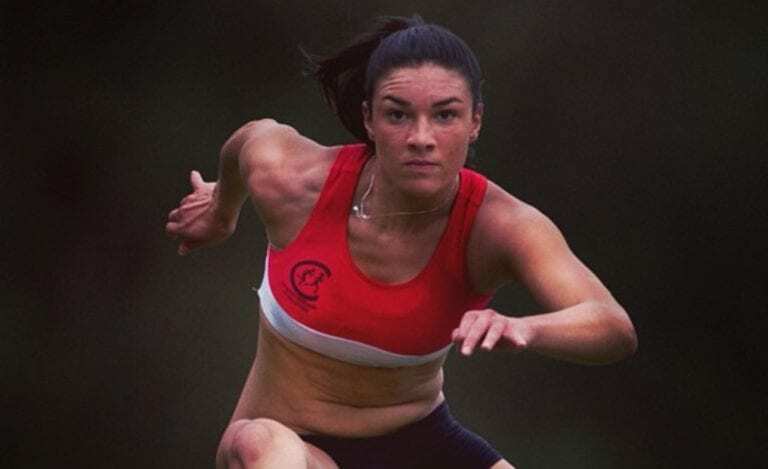 Michelle Jenneke was a hurdler from Australia and aged just 19 at the time she caught the camera’s eye. During 2012, the Olympics were well underway and everyone was preparing for their race. The usual routine of stretching with some last minute exercises all commenced like usual, apart from one competitor. Michelle was having the time of her life as she posed and danced for her shots, and it must have worked as she came in 5th place! The routine was just the beginning for the young athlete as she soon found herself an internet superstar! Having just turned up to run in the 100m hurdle race, Michelle now found herself becoming famous online as one video managed to rack up 19 million views in only one week! Her jumping and dancing was a simple routine to follow, and the clip even found itself being shown on The Tonight Show. One quick race later and Michelle was set to hit the big time! The clip ended up getting Michelle a whole heap of fame, and soon enough the media was anxious to get in touch with the young athlete. Her sporty figure and beautiful face meant that during January 2013 Michelle was at number 10 for the most wanted women of the year by a favorite men’s website! The attention from the video teamed with the recognition for her looks made Michelle realize there was an opportunity staring her in the face she just had to take. Once in a lifetime, an offer is presented that you just cannot refuse! Well, not long after Michelle was ranked on the list of women, she received her offer. The magazine Sports Illustrated contacted her with an offer to model their swimwear edition of the magazine. With all her wishes being granted at once, Michelle quickly accepted the offer and had a fantastic time snapping the pictures with the magazine. Not one to disappoint, Michelle even gave the team a rendition of her famous dance after they asked. As with most things on the internet, Michelle’s hip-wiggling routine soon became a meme. With people editing the video and even going as far as to create their own versions, it wasn’t long before most people on the planet had seen the Australian’s moves! 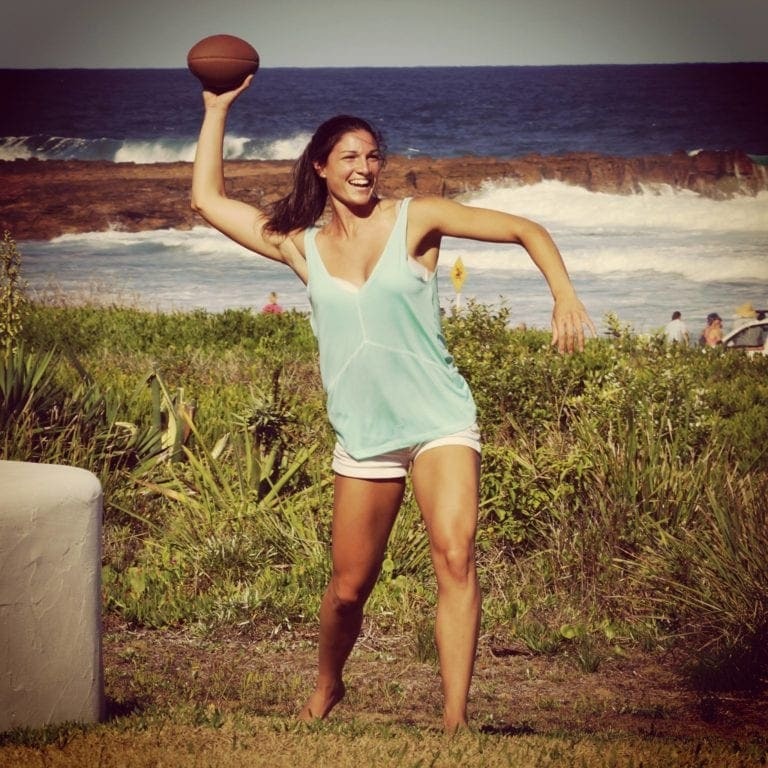 Trying to juggle a professional career in sports while still being an online superstar can be a struggle, but Michelle has managed to earn herself quite the following! With more than 450,000 followers on her Instagram page, Michelle also has Twitter and Facebook profiles with thousands of followers. Michelle has not only been pursuing a modeling career, online fame, and continuing to hurdle; she has also been busy becoming a sports guru. During 2014 an app chose the star to represent them. 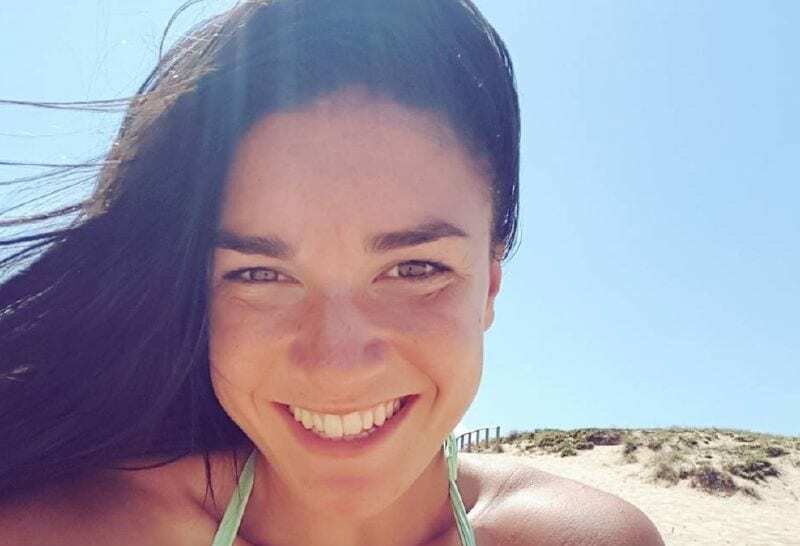 Aptly named Stretch with Michelle Jenneke, the app doesn’t have any dance moves to boast, but it has got different guides on how you can stretch efficiently. Michelle went on to appear in several of the commercials to endorse the new app and explained how it should be used. It was revealed that the dance routine was not a one-off and she had, in fact, been enjoying the stretching stage for many years before it got spotted and made so famous. Thinking that the world would get bored of the wiggles, Michelle was overwhelmed when people kept talking about it! The athlete also confessed that she not only dances at the start line, but uses it as a chance to sing to herself, with a Rihanna song being her music of choice at the Olympics in 2012. The dance was never intentional, but a complete accident. A stranger at a race spotted Michelle dancing and recorded it. The video found its way onto Youtube and managed to get an incredible number of hits. Michelle has commented that after she saw the video of herself, she thought it was amusing and the move began to stick, leading to her fame. Cosby Sweater was the web page that saw the potential of the video and posted it, but crashed after so many views from around the world. Michelle’s face (and dance moves) were almost instantly recognizable all around the globe with her new found fame, but it was in her home country of Australia that she received the most prominent welcome. Her fellow Aussies greeted the star with hugs and congratulations from her adoring friends and fans. Her popularity continued to grow, and during 2014 the athlete was asked to participate in a special of Top Gear when they were filming in Sydney that earned her 9 million views when it appeared on YouTube. Contrary to what we see at the start line of the track, Michelle does indeed have an extensive warm-up routine. 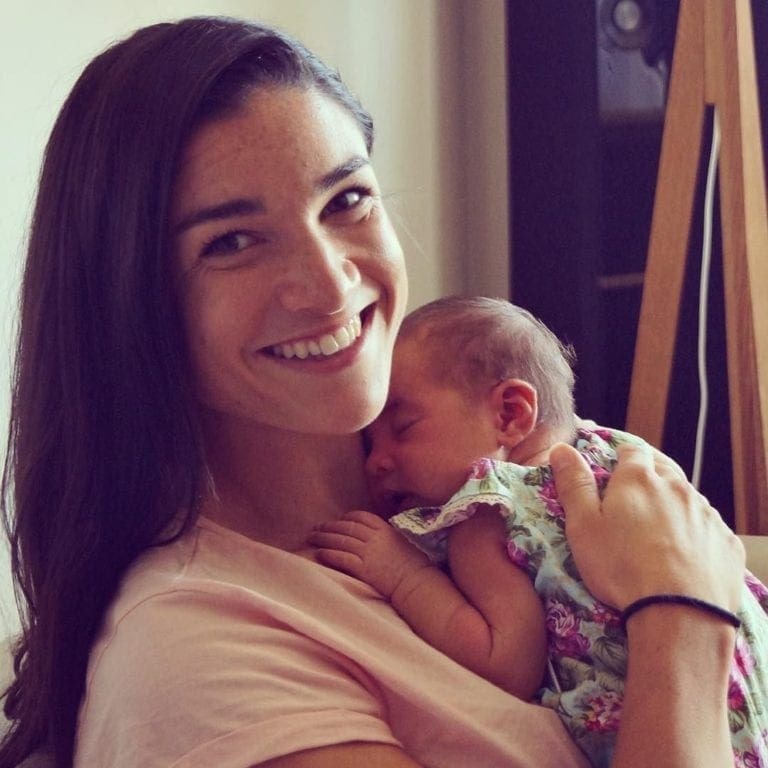 She says a lot of preparation is done for all of her races in the build-up to the day, with plenty of practice down at the track and by going to the gym. After running through her warm-up backstage, Michelle says she is just so ecstatic about the race that she can’t contain it when waiting for the green flag, hence why she dances – to keep herself motivated! Michelle went on to become the newest face of the drink Coca-Cola campaign by the time the 2016 Olympics had come around, so she had officially reached celebrity status. The Olympic games were unfortunately not meant to be though for Michelle, as she came sixth in her 100 meter hurdle race and finished in 13.26 seconds. The time was too slow for her to qualify and she was sadly knocked out before reaching the semi-finals. The dance appeared to be losing its lucky charm. The Chive, a well-known site based around humor, produced a comical video with Michelle that ended up being titled Forever Alone. 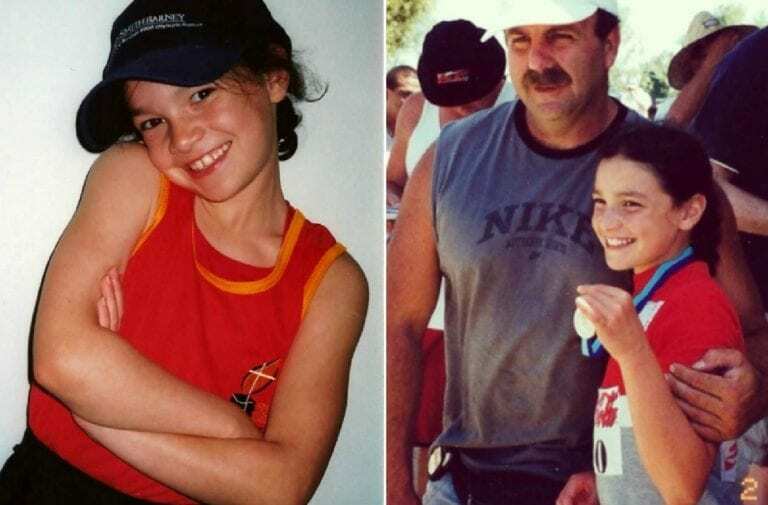 The footage saw Michelle talking about the videos of herself before her races, and incredibly it became just another internet sensation for the young athlete. After it was uploaded onto YouTube, the video was also shared on various video sites and web pages where, in total, it was viewed more than 10 million times. Michelle has reported that she doesn’t particularly remember too much about her childhood, but does reflect that she was always happy and remembers being active in her younger years. Her parents have informed her that she was always running around and jumping over things ever since she was a toddler, and Michelle didn’t stop – making her career running and jumping things! Michelle’s first memory of hurdling was aged 9 when she believed she really could fly at a club competition. Michelle’s talent grew ever since her first race. She managed to bag first place during her 100m hurdle race in 2010 when she was competing in the junior championships in Australia – an incredible feat! Not content with one win, Michelle went on to break the record in Australia for the women’s sprinting medley relay. At the youth Olympic games later in the same year, Michelle traveled to Singapore where she broke her own record and came home with second place – nicely done! Determined to take the intellectual world by storm too, Michelle is also studying at a university in Sydney. Michelle busies herself with mechatronics (don’t worry, we didn’t know either!) which combines the study of mechanical and electrical engineering. Sounds very technical! The move isn’t a bad one for the young athlete as many psychologists specializing in sports have discovered it is vital for athletes to ensure they have an alternate career they can pursue once they’ve retired. In 2014 Michelle was given the honor of traveling with the Australian team to partake in the Commonwealth games that year. Finishing with an impressive time that was 13.36 seconds saw Michelle finish the race in 5th place. 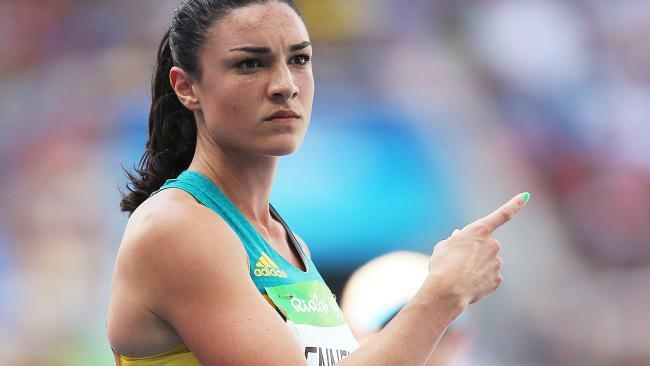 While this may not sound the best, for her professional career this was amazing, and she became the second fastest hurdler over 100 meters in Australian history! Michelle was just going from strength to strength at this time. Michelle came under fire after she didn’t live up to expectation at the Olympics in 2016. Many people that were once her sporting friends or fans began to scrutinize her performance from the race. 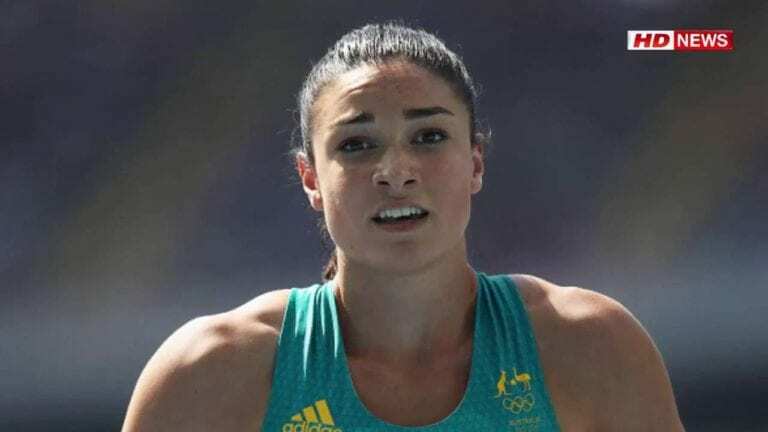 A former world champion of the sport, Jane Pittman, commented how she thought that it might have been due to the amount of stress and pressure that was put on Michelle to do well before the race that caused her to not perform at her best. Pittman continue, describing that there was too much expected of Michelle, who was only 22 years old at the time of the Olympics, and that the world should understand that. Adding that Michelle was only known for her dance may have seemed like a low blow, as Pittman said that the world didn’t know Michelle for her skills in hurdling – ouch! Pittman finished off by saying just because someone is famous doesn’t mean that they automatically win. Michelle has since commented on the backlash from the public after her disappointing race. She talked about how trying to get below 13 seconds is never going to be easy, and even though she felt she was going to demolish the target, she just didn’t perform how she wanted to. Michelle further commented on how people are far too quick to bring you down for one single disappointment after being behind you for the build-up to the race, and they don’t understand what can affect an athlete before performing. Attempting to recover from the outrage that was caused by the race in 2016, Michelle has since blown away any critics and come back more confident and stronger than ever before! She has reported that she often gets accused of attention seeking when she does her dance, but it is just something that ended up sticking from all those years ago! Attempting to ignore the backlash, Michelle has spoken out about how she will not be changing who she is – go, girl! Michelle’s world continued to crumble down for her following on from the incident at the Olympics. Her funding was cut from the national support system that backs athletes they believe stand a high chance of winning a medal at any major competitions. What a blow for the young athlete! Her coach went on to criticize her as Craig Hilliard implied she should have been more prepared and commented on her personality, which seems a bit personal! Hilliard added that only athletes that are entirely dedicated to the sport should receive funding. Michelle has recently come out and stated how she wouldn’t change anything that has happened to her, even though it brought all the negative attention with it! Living a life without regret has left Michelle time to contemplate everything that has happened. She goes on to add how without the coverage of her unique warm-up style she would not have got as famous as she did and would have struggled to get her name out there otherwise! Over the last few years, rumors have been floating around the internet that the young athlete may have had some work done. Michelle has been accused of having plastic surgery to enhance parts of her body after fans began to compare photos of her from recent times with those from when she first got famous. People have stepped forward to defend Michelle and have stated the difference is more likely down to different clothes she is wearing! Michelle has reported she loves to give back to the world when she can, having volunteered during a visit to Tanzania where she helped at an orphanage! She was there for over two months and would help with caring for and teaching the children there – how sweet! Michelle does also confess to her hatred of packing, and if she could hire someone to do the job she wouldn’t think twice! Probably not good having to pack to travel the world frequently then! Michelle got the nickname of ‘Shelly’ from when her family and friends would call her by the name when she was growing up. She was born during 1993 in Sydney, Australia, and began her life of a hurdler at a young age when she started to train and compete locally. Michelle has admitted how sports dominates her whole life as all of her hobbies involve being active. It doesn’t seem as though Michelle enjoys sitting down too much!